Knowing how to escape from a room, whether it’s a prison or a prison of your own inebriation, is a very important skill to have in your arsenal. Seeing that I’m halfway through an international romp characterized by inappropriate levels of binge drinking, I decided I should probably practice this skill just in case I found myself stuck in a closet or overturned porta-potty during my time at Oktoberfest. Creepy, shadowy reflections are never a good sign of things to come, though neither is pink wallpaper…nothing goes with pink wall paper. 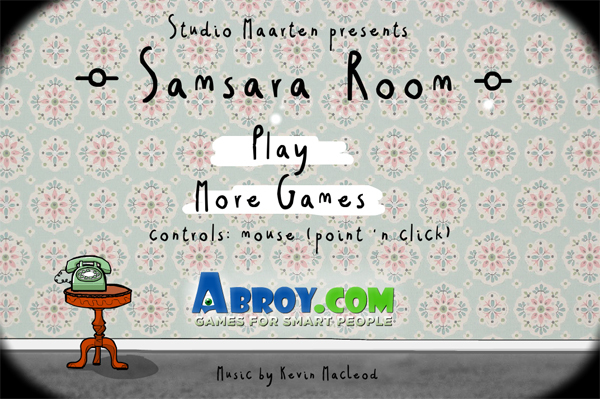 Samsara Room turned out to be the short little room escape game that I needed, though it may have been a bit more abstract in design than what I’d actually be dealing with. Should I find myself in circumstances reminiscent of those found in the game, it’s quite possible that escaping is just the beginning of a journey through my own personal hell. That or somebody slipped something into my beer while I joyfully sang Bavarian folk songs. In all seriousness though, I really like room escape puzzles as they do force you to engage your surroundings even more so than you do in conventional adventure games. It’s been a while since I’ve stared at a single wall for such a long time, trying to decide if there’s a secret behind the tacky wallpaper. 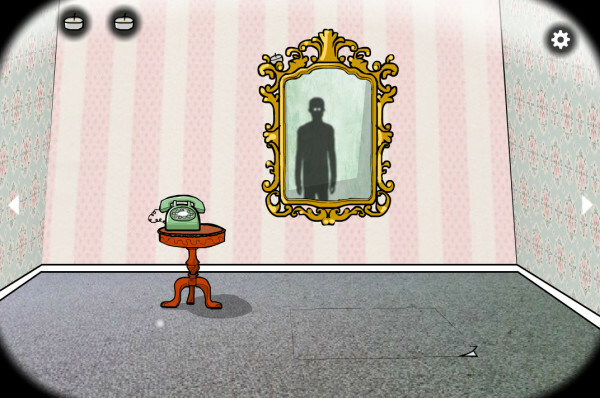 If you have some time, check out this game and pray for my safe return to normalcy.